The University of Alabama’s MA in Religion in Culture is, if pursued full-time, a two year course of study (36 credit hours) that equips students in the study of religion with cross-disciplinary expertise in social theory as well as digital humanities tools, preparing them either for further graduate work in the academic study of religion (and related fields) or for the growing number of careers in which the combination of analytic tools and digital skills are seen as an asset. 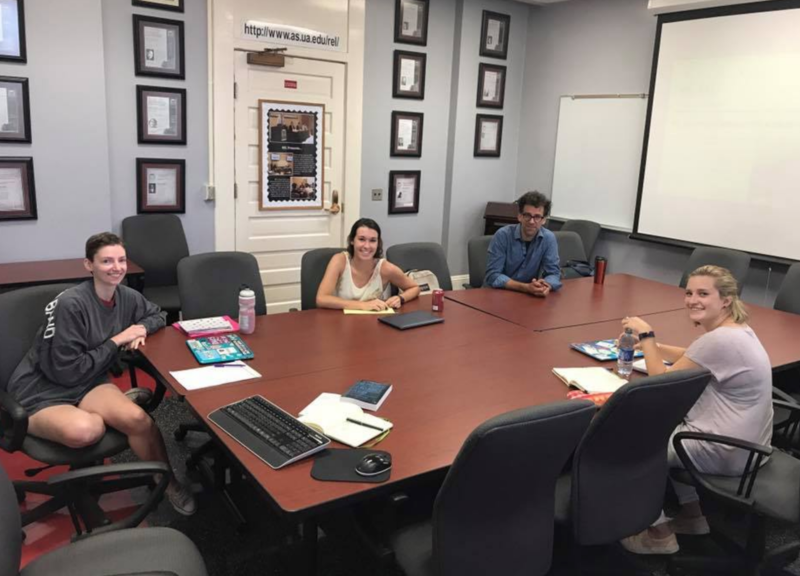 Students gain experience working closely with a faculty mentor to produce original research, assist in undergraduate classes, submit their own work for possible publication, while also learning about the practical needs and future shape of the profession. In consultation with their supervisor, students can opt for either a defended thesis, as the culminating project (defined as a piece of original research that is potentially publishable as the student’s own academic article), or the comprehensive exam route, which can entail either a set of exams in their last semester or, as we recommend, participation in the already require REL 590 Capstone Graduate Seminar — this later route can still result in an original seminar paper that the student presents to faculty and students. Our Department and its faculty members are nationally and internationally recognized experts who are helping to reinvent the study of religion and eager to work closely with MA students on a wide variety of topics. If your interests and goals overlap with our expertise, then we hope you’ll consider applying and coming to Alabama. What Sets Our MA Apart? Heard of Our M.A.? from UA Religious Studies on Vimeo.